Tutoring companies need to learn that young people in their natural environment are not students. They're kids. 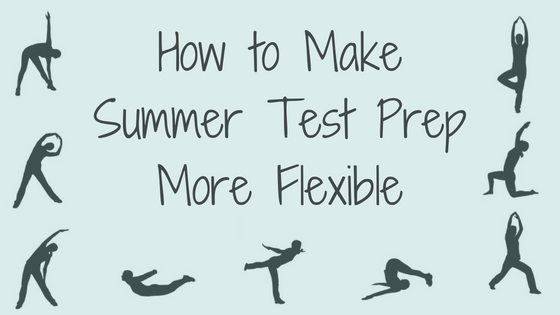 And if you want to work with those students over the summer, you'll need to be prepared to be more flexible. On paper, summer is a prime opportunity for students to hone their skills for a summer or fall test day, but - let’s be real - students are in no rush to dive back into academic work. If anything, summer provides a change of pace and an opportunity to recover from the trials and tribulations of academia - not double down with even more. The best chance your test prep company has to court, help, and retain summer clients hinges upon your creativity in doing so. Your school-year approach isn’t going to cut it. There will be vacations, summer jobs, sports camps, and fun in the sun all competing against prepping for test day. As you begin developing and marketing your summer test prep programming, remember what that first day of summer vacation felt like. Find the ways you can promote student growth but still give students enough flexibility to enjoy the freedoms and rejuvenation of their summer vacation. Cancellations happen even in the busiest of times. In a traditional, hourly tutoring model, a missed session can mean missed learning opportunities and missed opportunities for revenue. Offering tutoring packages instead of individual, hourly-billed sessions can help firm up students’ commitments to the test prep process while also making your bottom line more predictable. Test prep packages are a great business practice year-round, but the summer season may be the ideal opportunity to make the shift if you haven’t already. While you will want to have traditional, scheduled options for clients expecting routine weekly sessions, use the summer to experiment with packages that are more flexible. To account for things like vacations and student commitments, create packages that include set number of sessions rather than a rigid weekly timeslot. At enrollment, have a calendar of available session times based upon your tutors’ availability and invite each client to claim the best fits for his or her summer. Another possibility is creating packages with opportunities for “flex sessions” where a student can come for a set number of “office hours”-style check-ins with a tutor. These shorter, on-demand appointments can be used to work through specific challenges or gain some additional practice between regular, full-length sessions. Pro tip: if going this route, be sure to maintain an online calendar to track tutor availability in real-time. It will help eliminate double-bookings for these types of sessions. Taking things even further, add online instruction options into the mix and add yet another layer of flexibility for clients (more on that later). Adopting a tutoring package model for your company’s test prep will set the table for successful and reliable summer instruction, whatever form it takes. What’s more, the process will position your business perfectly for up-selling or cross-selling additional packages once the summer turns to fall. Even though summer students may be on the go throughout the season, you want to be sure that you are providing opportunities for student growth between sessions. Make sure the work you are assigning students is flexible and convenient enough to take on the road. Will the student have reliable internet access? Are the required practice materials easy to pack in a carry-on? Is there access to real-time (phone, Skype, Google Hangouts, etc.) or asynchronous (email, message boards) help for students expecting lengthy layoffs between sessions? The answers should have a direct impact on the tasks you are asking students to tackle. Not only does work need to travel well logistically, but it also needs to come paired with ample to support so that students going longer between sessions are still making progress. As such, use the summer to target specific skills and content areas that require sizable investments of student time, but limited feedback or direct instruction from a tutor. Vocabulary and comprehension are two skills that only grow with practice. While there are several effective strategies for improving vocabulary and vocabulary skills, the best is (and likely always will be) for students to read as much on- and above-level content as possible. The same goes for reading comprehension – there are plenty of strategies, every one of them comes back to actually reading content. Success on the SAT and ACT requires student exposure to a mixture of fiction and nonfiction reading experiences from a wide variety of sources. Pairing these experiences with focused context usage and thoughtful written responses can help students improve both vocabulary and comprehension skills. Again, to do this effectively takes time. Unlike skills like calculating surface area or how to properly use a semicolon, there is no quick-fix for a weak vocabulary or struggles to understand text. This is the perfect type of test prep activity for summer. Think about it: students can read anywhere. With some effective relationship building, tutors can even target particular topics of interest to spur engagement (and perhaps even enjoyment) making the process as painless as possible. Combined with some properly prescribed, self-assessing practice, students will head into fall with a strengthened core of vocabulary skills and content – not to mention a leg up on their competition. One of the most challenging aspects of any standardized test is the clock. Particularly on the ACT, time is an added pressure that can stand in the way of a student demonstrating his or her full potential. Just like the aforementioned skills, there is no shortcut to improving a student’s working speed. Confidence and speed come through experience. Use your instructional sessions to fill gaps in skills and content knowledge, and then use the time in between to spur efficiency through practice. The essay portions of the SAT and ACT may be optional, but demonstrating college-level writing skills on an entrance exam can be the ticket to a college acceptance. The best test prep tutors know that there is little benefit to sitting and watching a student write. Similarly, students don’t get anything out of sitting and watching tutors score their writing. Focus on the targeted skills and techniques in person, and leave the actual writing and grading for the time in between sessions. Logistically, a handful of prompts, a rubric, and a notebook (either the college-ruled or the computer variety) can provide students with a full plate of writing practice even over lengthier breaks. Education continues to move in a more and more digital direction. Test prep companies are following suit with cutting-edge software and diagnostic tools designed to tailor instruction to individual student needs. Going further, some have opted to move a portion (or all) of the test prep experience into the online space. While it’s hard to imagine a world where students sitting down with instructors face-to-face goes away completely, the flexibility that comes with online tutoring is hard to argue with. In the summer months, having a digital option can be a valuable tool in attracting and supporting students. By making the instructional experience a virtual one, your tutors can connect with and instruct students whether either party is down the road or across the country. This means fewer sessions have to be canceled or rescheduled. There is even the potential for reaching client bases beyond your company’s home zip code. For more on this, check out our post, “Are You Ready to Scale Your Business with Online Test Prep Tutoring?”. Sign up for a free consultation to see how Clear Choice Prep’s software and curriculum provide a comprehensive and accessible pathway to taking your tutoring efforts online.